Repair Your Bike & Your Bicycle Community! This is the best bicycle repair manual that we have, and the one that many of us here at Microcosm use to fix our own bikes. It's incredibly useful for fixing older bikes, and the illustrated instructions help you suss out how to fix a wide variety of issues whatever kind of bike you have, whether it's a beater or a vintage classic. Huge kudos to Shelly and Ethan in producing this book. I have not got a clue about bike maintenance and saw this on a well known internet site amongst a load of dry style tech manuals. I must confess it was Ethan's cartoon resume on the preview page that made me buy as it made me smile. However on receiving the book I can only say I am delighted. 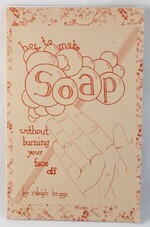 Lots of common sense information, nice sense of humor and great zine at the back. The left wing, egalitarian views of these two strike a chord with me too. I almost feel guilty in paying £450 for a new bike instead of buying an old recycled one now (although given the record of bike thefts in London I soon be doing that anyway. Anyway top marks to these two. Not only does it make a great primer on bike maintenance but it is also a cool coffee table book as well. It gets leafed through a lot in my house. Chainbreaker is the bible of DIY bike repair. As a female mechanic I especially got a lot out of it. It's a staple in any community bike cooperative / collective. Both authors have clocked time working on bike repair shops and know a thing or two about their upkeep. Even as a bicycle outsider, I was enthralled by the enthusiasm and clear resolve of the writers to make a difference in their own lives. I must own 15 bicycle repair books/manuals. This one is my favorite! I want to travel everywhere by bike. I own a mountain bike, but I want to buy an urban fold-up bike. This book would be perfect for me to begin my radical, bike-everywhere commuting plan! A punk-rock mechanics manual, breaking down the art of bike maintenance to a level that anyone can understand, with a friendly, encouraging voice and charming, hand-drawn illustrations. This book is a double treasure. It aims at empowering and teaching readers to do their own repairs and save money. The emphasis is on ordinary bikes and not on high-end road bikes.
" ... the perfect intro for someone who's getting into bicycling and wants to learn more about their bike." "Chainbreaker Bike Book" is not only a great roughguide to bycicle maintenance, but is also a nice effort to recuperate and share part of the culture that disasters, like hurricane Katrina in this case, threaten to destroy." "Recently I’ve been reading pretty much every book on bike mechanics I can get a hold of. ... I’m going to start with Shelley Lynn Jackson & Ethan Clark’s The Chainbreaker bike book because it stands out from everything else I’ve read. I liked this book for its style and perspective. It’s written by two mechanics/volunteers from New Orleans and resembles a DYI zine more than a dry, professional repair book. Actually, Shelly had started a bike zine called Chainbreaker, but the project was canceled after ‘Cane Katrina. 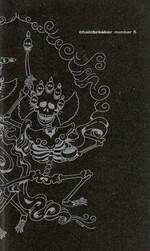 All four issues of the zine are reproduced in the second half of this book. I appreciated Shelly’s perspective as a female mechanic. She goes on for a little while describing all the BS she has to deal with at the shop and I think that after taking it all in it will help me stay aware and sensitive of how women are treated in shops and the bike scene. I also appreciated Ethan’s account of going from working at an unpretentious LBS to a high-end chain store. He basically said it sucked working on nice bikes for rich people all day, because he didn’t feel like he was doing as much good for people as he had when he fixed bikes for people who depended on them on a daily basis. That resonated with me because I’m more interested in commuter riding than racing or doing anything competitive on a bike. At one point in the boo, it might have been the zine reprint section, there were some words regarding fixies, and it went something like (paraphrasing) …. 'whoa, can everyone just chill out and stop being so obsessed with components and competing for the nicest ride? let’s just encourage people to ride bikes and stop being so pretentious and intimidating.' The city of New Orleans definitely looms large over the writing of this book. Both authors were volunteers at Plan B, a community bike organization, and I just got a really good impression of both N.O and Plan B, enough to spark an interest in visiting N.O. soon. As for mechanical advise in this book –by the time I got around to Chainbreaker, I’d already read a lot of cut and dry repair books, so I wasn’t really scrutinizing this part of the book too much. Really it’s likely not the best first/only book on repair to read, since the illustrations are sketched in black and white. It did however give a good explanation of why freehubs and better than freewheels. 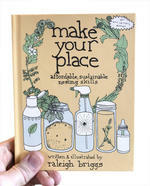 In all I liked this book and you should check it out, unfortunately no library in New England has it on their shelves. Ask you local branch to order it? They are required to spend like 20% of their budget on new books, you know…. Or order it from the publisher for 12 bucks here..."
"Do you want to learn more about bike mechanics in an accessible, non-conventional, and entertaining way? 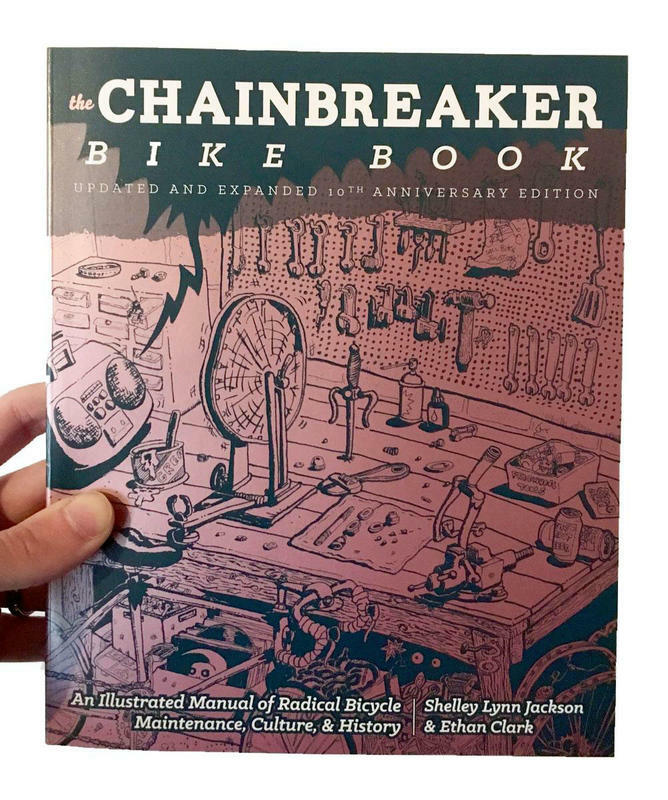 The Chainbreaker book is part funky hand-illustrated guide to bike mechanics and part zine (Chainbreaker was once a zine based in pre-Katrina New Orleans). This isn’t a recumbent book. Consider it a manual to the DIY bicycle revolution. Buy it from your local book shop, online bookseller or direct from the publisher." "Chainbreaker was a bicycle-themed zine done by Shelley Lynn Jackson, a female bike mechanic living in New Orleans. Though there are reprints from the zine, The Chainbreaker Bike Book is more than a zine book; most of this is new material—a guide to bicycling and to the basics of bike repair. The bike guide starts by talking you through choosing and buying a bike, then listing and describing what tools you will need for bike repairs. It then gives instructions for repairs, divided by bike part, and including some very homespun illustrations. The writing is friendly and clear, and if I had the tools and the time, I would have road tested Chainbreaker by overhauling my bike. I felt like I could do it with this book at hand. After the repair manual are some assorted tips—safety and common sense that didn’t shoehorn into the rest of the book. A favorite part of mine was Shelley talking about working at a bike shop in the French Quarter of New Orleans and having drunk people coming in in disbelief, saying that their bike was gone, but their lock was still secured to the place where they’d left their bike. Lesson: Make sure you put the lock through the thing you’re locking to and your bike, especially if you’re out drinking. The zine reprints are a collaborative effort, with great comics from the book’s co-author Ethan Clark, plus stories about the arrests made at the Critical Mass ride during the 2004 RNC in New York, bike travel, midnight relay races, bike delivery culture, and interviews with a bike-powered gardener and a member of the Black Label Bike Club. Focus often returns to the sexism experienced by woman mechanics working in bike shops, including horror stories about customers ignoring female mechanics or asking for men to work on their bikes. ... The Chainbreaker Bike Book teaches you how to fix and love your own bike, and that is a part of the self-reliance and freedom that cycling can bring. As compared to driving, not only is cycling cheaper and better for the environment, there is an intangible feeling of freedom and connectedness that comes with riding a bike. They try to describe it, but it’s impossible to replicate on the page—all the more reason for you to get on a bike and ride." 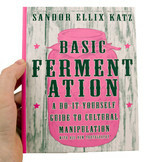 The book is well-laid out, easy to read and understand, and covers information down to the most basic level. All the bike parts and terms are explained for you, so you don’t need an expert translation or dictionary in order to get through the first page. I also found the zine reprints enjoyable, especially the stories about delivering food and working as mechanics in New Orleans. This proves to be a valuable resource even for someone such as myself who knows absolutely nothing about bicycles, and I’d recommend it for bike people or anyone else curious about the subject. Shelley and Ethan obviously put a great deal of time and energy into not only riding and thinking about bicycles, but also examining their relationship to them. With warmth, charm, and knowledge to spare, Chainbreaker gives the joy of bicycle maintenance back to who it belongs: The People. I got down and dirty with my bike and this eminently accessible and well-compiled volume moments after bringing it home, and I'm sure to dog-ear many copies of this book in my travels. 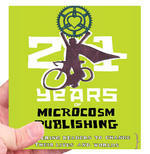 One of the most inspiring, dedicated projects in the world of independent publishing. Shelley is enthusiastic about all aspects of bike culture. Her writing is packed with personal stories, advice, and historical information on bikes. A great read for anyone who is into bikes or wants to learn more about today’s DIY bike culture. Seriously - on the days my poorly planned neighborhood and its idiot drivers are bringing me super down, Chainbreaker always cheers me up! I recently picked up the single best bicycle book I have ever seen, and that's not an exaggeration. "The Chainbreaker Bike Book" is a comprehensive, complete and utterly accessible introduction to the world of D.I.Y. bike repair. The language is informal, but the knowledge is both first-rate and non-technical. The chapters cover everything from buying used parts to conducting a proper step-by-step overhaul, to bike aesthetics and fashion. Unlike many bike books which feature an abundance of tech specifics and sing the praises of needlessly expensive specialized parts, there is nothing intimidating about this book. Honestly, ANYONE who rides a bike and has half-a-mind to learn about repair and maintenance, who wants to learn some bike building skills, or who is interested in the philosophical cult of beauty and simplicity that surrounds bicycles should spend $14 on this book. In addition to being an extremely practical manual, it's an inspiring and dedicated work of art. This is the new Red Emma's official favorite bike book. I love the seat-of-the-pants, low-budget guidance offered in The Chainbreaker Bike Book, a new do-it-yourself bike maintenance guide that keeps things simple, straightforward, and, most importantly, real. A great book for introduction or just someone who wants to geek out about bikes. humor, and she's got a list of community bike shops in the back, which is surprisingly up to date, what with it having a 2008 copyright date. Well worth the 12 bucks, and an awesome present for someone you like/love. Printed in large type so it's visible when open next to a bicycle, the repair-manual portion of the illustrated book, builds from the ground up. Starting with the ethics and rewards of skill sharing, it moves on to detail parts, tools, and instructions for system-by-system checkups and repairs. 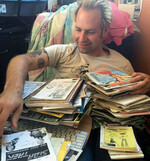 The book's second half comprises reprinted issues of the Chainbreaker zine, originals of which were lost when zinester Jackson's New Orleans home flooded after Katrina. The zines complement the how-to portions with a wider view of the bicycle's cultural impact — e.g., the role of bikes in the women's clothing revolution, the democratizing potential of this low-cost form of transportation. This bike repair manual doesn’t just show how to fix things; it provides a lot of encouragement and inspiration as well. Shelley gives several pep talks to women throughout the book, cheering us on to ”stand up and be heard…get to know the tools and language…ask questions and look for guidance, but look to your own sense of logic as well.” That’s good advice, not just for bike repair, but for everything we do in life. Perfect timing for me to review this book as I am just now getting my bike ready for the spring thaw. 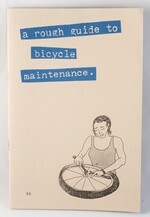 This is a great diy manual for bike repair. At 130 pages for the manual and then 120 pages for reprints of the great bike zine Chainbreaker, you get a lot of content here. I have referred to this book a couple times to help with some complicated stuff. My bike got stolen last summer and I got it back (don't ask), but in the mean time the thief kind of messed some things up. Referring to this book helped me get my brakes and everything else squared away again in no time. This book has a great table of contents and index to help you find the section you need for your repair right away. It is also written in an easy to understand conversational manner explains things in a way that even a novice would understand.